From the best-selling author of Under the Black Flag comes the definitive biography of the swashbuckling 19th-century maritime hero upon whom Jack Aubrey and Horatio Hornblower are based. Nicknamed le loup des mers ("the sea wolf") by Napoleon, Thomas Cochrane was one of the most daring and successful naval heroes of all time. 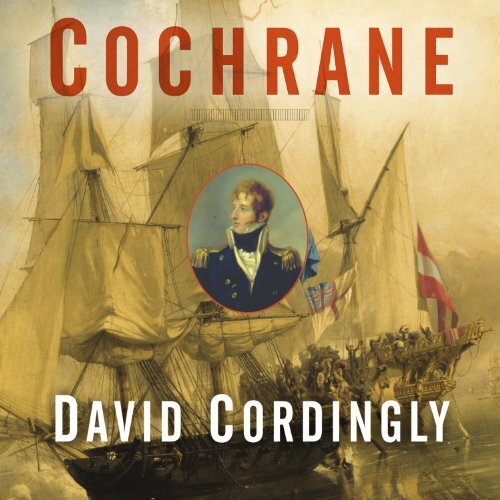 In this fascinating account of Cochrane's life, historian David Cordingly unearths startling new details about the real-life "Master and Commander", from his daring exploits against the French navy to his role in the liberation of Chile, Peru, and Brazil, and the shock exchange scandal that forced him out of England and almost ended his naval career. Drawing on previously unpublished papers, his own travels, wide reading, and the kind of original research that distinguished The Billy Ruffian, Cordingly tells the rip-roaring story of the archetypal romantic hero who conquered the seas and, in the process, defined his era.